In his third memoir, journalist David Giffels and his father confront questions over grief and mortality as they bond over the building of the author's coffin. ... a book that is tender, witty and, like the woodworking it describes, painstakingly and subtly wrought ... For better or worse, Furnishing Eternity is very much a guys’ book. The emotional center rests on Giffels’s relationships with his father, a retired civil engineer whose life force exerts itself in the workshop, and with his best friend ... With a writer as talented as Giffels, though, this reader could accept the bromances and the gender essentialism as the prices of an emotionally satisfying narrative ...Giffels lovingly but never worshipfully traces the craft of coffin-making, and in so doing lets the essence of himself and his father be revealed through action. Only a very skilled engineer of a writer can transform the fits and starts, the fitted corners and sudden gouges of the assembly process into a kind of page-turning drama. And only a wise writer can resist the temptation to deliver a formulaic epiphany at book’s end. Death comes slowly. Death comes swiftly. It comes with varying degrees of pain. It awaits us with certainty yet leaves us struggling to comprehend the point of what came before it and what will follow ... The memoir, his [Giffels's] third, began as an attempt to settle the great casket debate once and for all ... Giffels recounts working on it [a casket] with his father, a man whose arms are now loose and scaly - arms that Giffels remembers as once being muscular, back when he would watch him in that workshop as child ... Nail by nail and plank by plank a story started taking shape. Yes, about a son and a father and also a coffin, but also about tthe next stage - in life and in Giffels' literary career ... Furnishing Eternity bears witness to the second half of the life cycle: Here the adult son ponders the time he has left with his parents before he enters the role of family elder. 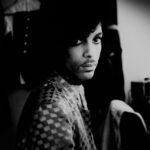 As he nears his 50th birthday, Giffels, a professor of creative writing at the University of Akron and a native of that city, sketches an enigmatic project: the building of his own coffin with his octogenarian father, Thomas ... As father and son embark on the project, Giffels’ longtime best friend, John, an artist, is diagnosed with fatal esophageal cancer; his rapid decline imbues Furnishing Eternity with elegiac power ... The memoir is strongest when it’s focused on Giffels and his father in the workshop, tactile and immediate, as Giffels evokes the lush grains of wood, the tools’ allure, the 'mealy' spray of sawdust. Occasionally the narrative goes slack, marred by gratuitous asides and editorializing... A varnished, carefully crafted box, a spark of life within: Here’s an obvious yet affecting metaphor for the book itself. 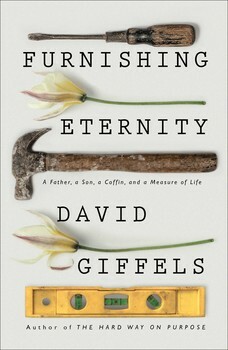 What did you think of Furnishing Eternity: A Father, a Son, a Coffin, and a Measure of Life?